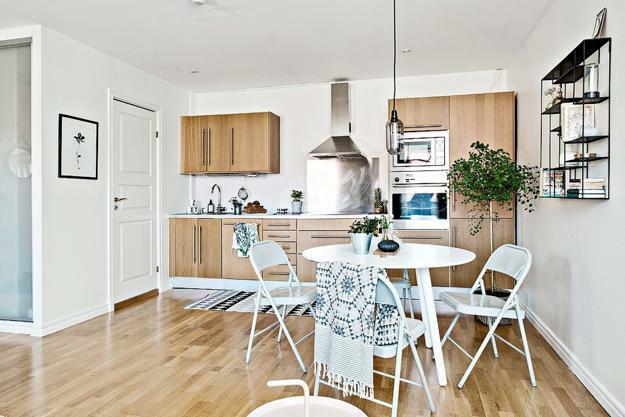 Small apartment ideas in Scandinavian style can be useful for decorating all small apartments and homes. 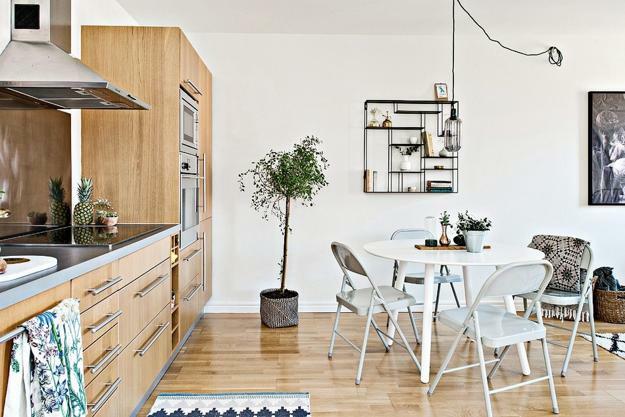 Lushome shares photographs of a small apartment located in the center of Gothenburg. 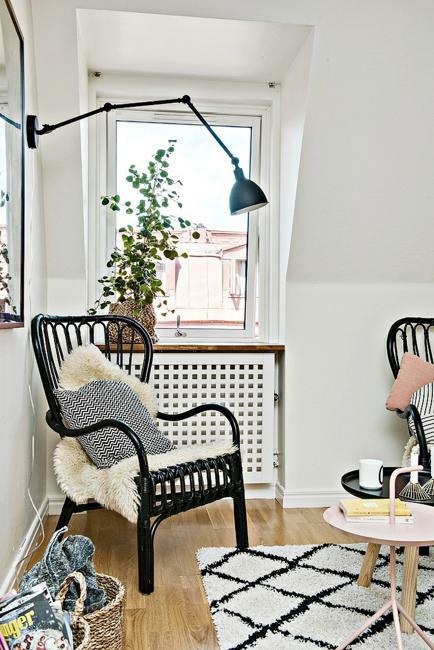 Bright and clutter-free interior design and black-n-white decorating make these small spaces comfortable, functional and stylish. 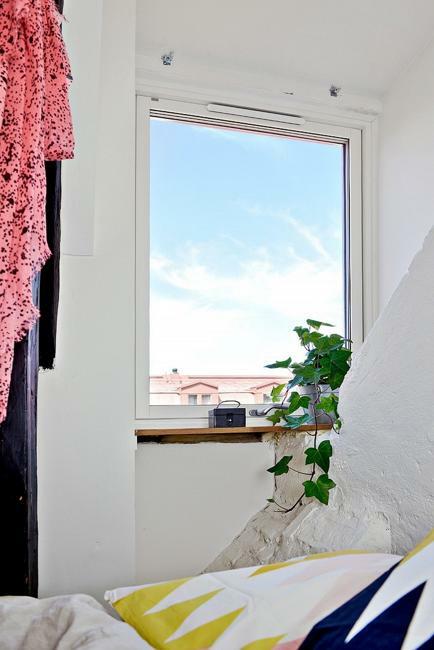 Huge windows and white decorating make small rooms appear larger. 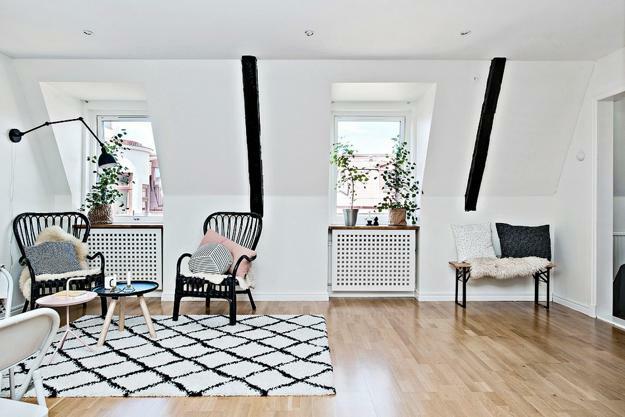 Wooden beams painted black look dramatic on a white background. 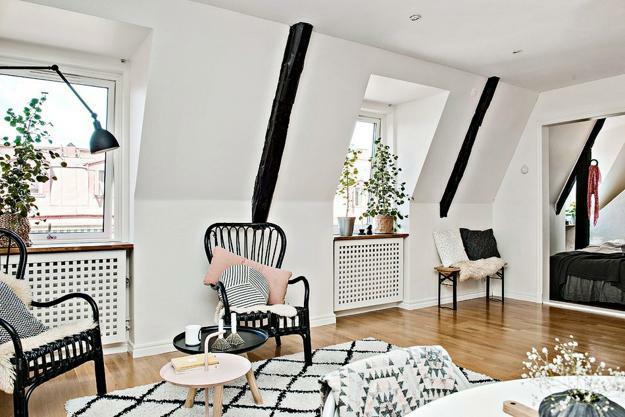 Black-and-white palette is one of the best ideas for decorating small apartments and homes. 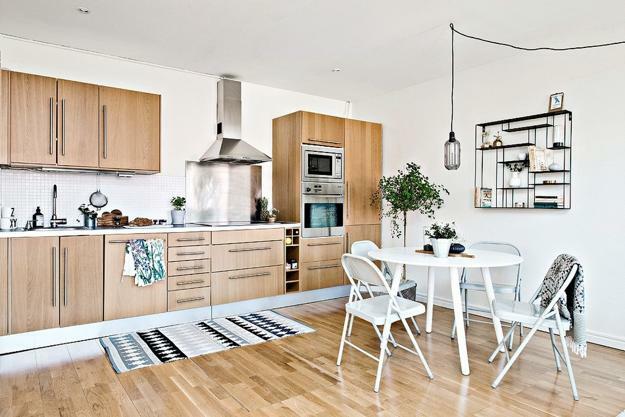 Modern kitchen design, beautiful doors and stainless steel pieces look stylish and classy. Black and white interior design features comfortable and ergonomic work areas, which are blended with rest areas in the living room. 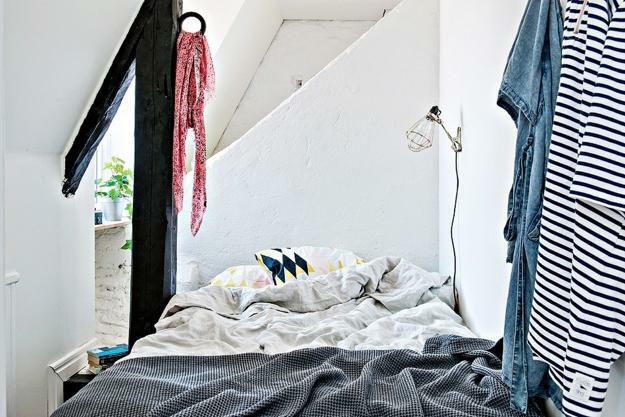 A charming sleeping alcove enhance the comfortable and pleasant feel of interior design in Scandinavian style. 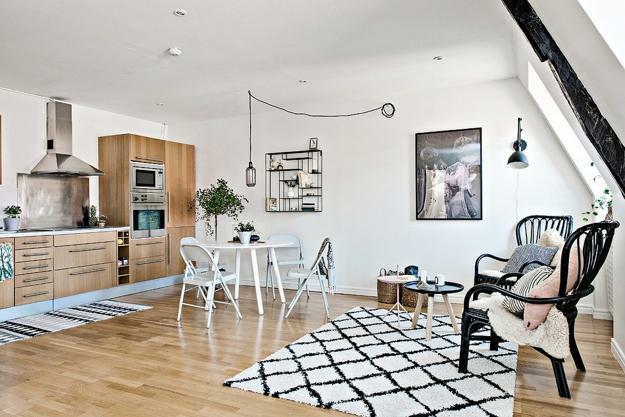 Small spaces can accommodate everything necessary for modern lifestyle and look attractive, bright and interesting. 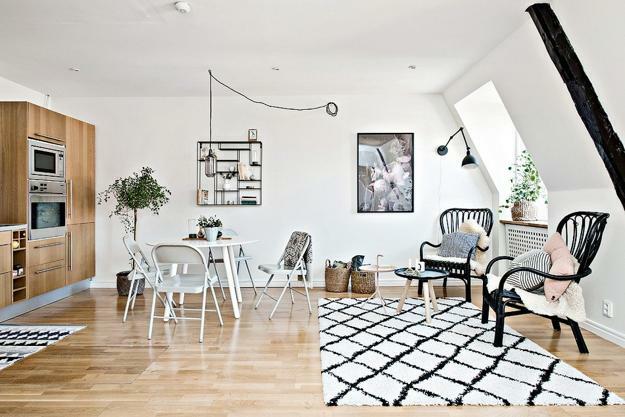 Light interior colors visually stretch small spaces, black brings balance into modern interior design in Scandinavian style. The bedroom is very small and cozy. White walls and black ceiling beams, black-and-white bedding fabrics and warm bright accents create very pleasant and inviting bedroom decorating. 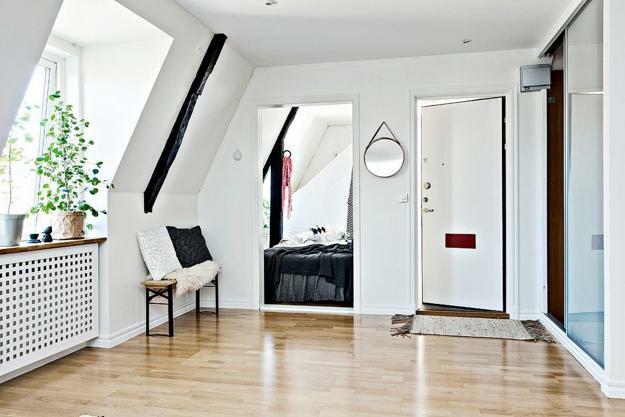 Very simple, but nice and comfortable solutions are wonderful ideas for decorating small apartments and homes. Modern bathroom design is flexible and space saving. The door can be moved, and the small bathroom becomes the shower. A corner sink, a glass shower door and white decorating ideas are great space saving ideas for small bathroom design. Black accents are the perfect solution for small bathrooms which look harmonious and balanced in black-n-white.